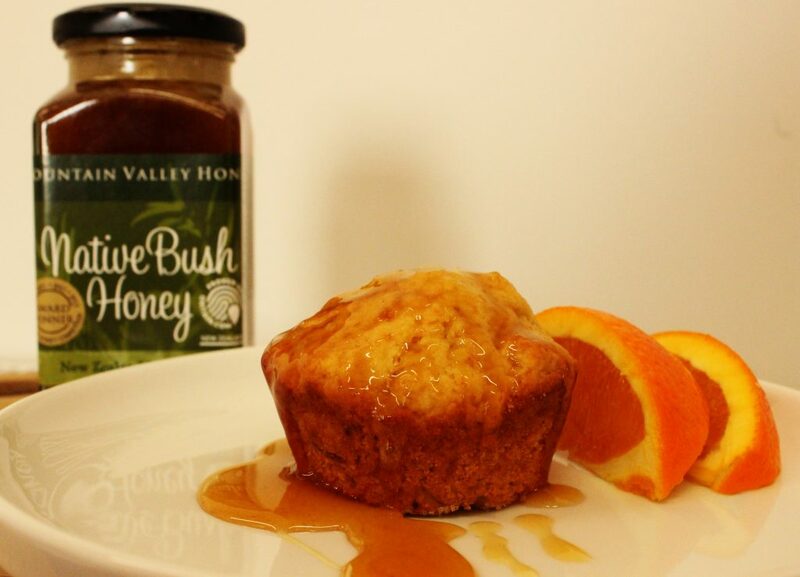 Our Honey Orange Muffins made with our Native Bush Honey are a delicious and easy treat, tried and tested by many of the team here at Mountain Valley Honey. No fancy ingredients, just the good old classics, delicious! Place flour, baking powder, sugar and orange rind into a large bowl and mix well. Using another bowl, melt the butter then add the honey and heat gently. Cool the mixture and then add the egg. Measure the orange juice and if necessary add milk to make it up to 3/4 cup. Add to the melted butter mixture. Pour the liquid mixture into the dry ingredients and fold gently together. Grease 12 muffin pans and divide the mixture between these. Bake at 200 degrees centigrade for approx. 12-15 minutes.